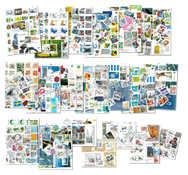 Stamp packets provide a nice way to expand your existing stamp collection or start an entirely new area of collection. 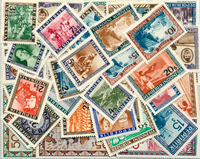 You can choose from hundreds of different country stamp packets from all over the world or thematic stamp packets, including birds, flowers, art, space, and many, many more. 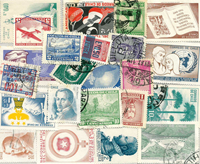 We also offer a special variation of stamp packets that we call duplicate lots. 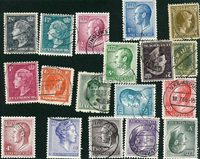 We call them duplicate lots rather than stamp packets because they contain some level of duplicates. 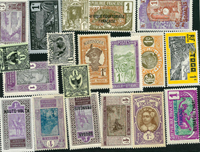 Our duplicate lots are made up in smaller volumes than our traditional stamp packets and are based on completely unsorted material from dealer lots, purchased collections and auctions. You can expore our duplicate lots here. Have you considered starting a new area of collecting? A country or a thematic? Have you visited New Zealand, China or Brazil? 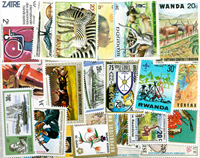 Once you start collecting stamps from a specific area you learn about the country and its history, culture and traditions. Are you fond of birds? Do you find trains fascinating? Or do you play golf? 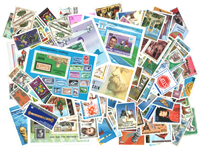 Also here you can learn more by collecting stamps. 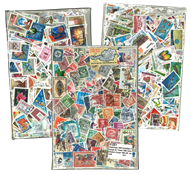 A stamp packet can be a very good starting point. 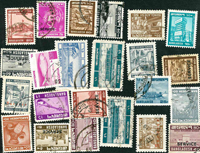 If you consider starting a new area of collecting a stamp packet is a good choice. 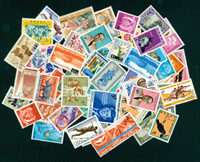 We have a nice range of stamp packets at favorable prices with hundreds of stamps - available in both mint and cancelled and from many different countries. 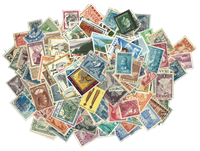 Whether you are a philatelist or a collector you may find just the stamps you need for your collection or discover interesting new stamps. 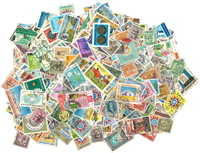 Discover our duplicate lots with content from remaining stocks, duplicate batches and stock books filled with stamps, souvenir sheets and much more. In most cases, these are completely unsorted items.